When I tell people I have a wife and seven daughters, the first response is generally something like, “You’re kidding, right? or “You poor, poor such and such…” As you’d expect, there are some more colorful versions, but the salient point – the very reason I mention it – is that finding a personal sanctuary can be an arduous task. In my house, ample and secluded spaces are in short supply. It’s not that I need any excuse or justification for something like this little slice of Shangri La, but like many of you, I want to be able to play golf year-round, and the climate in Colorado, while fantastic, typically limits the season from March until maybe October. Enter my passion project for this year: a DIY, indoor golf simulator. Once I got the okay from she-who-must-be-obeyed (whose patience with all of this golf stuff is exceeded by, well, her patience for me in general) it was time to get down to the nitty gritty and develop a viable plan to bring this thing to life. For those who are interested in pursuing a similar dream, the following piece details my experience coupled with something that approximates a how-to guide. Here are the things you need to consider. The phrase golf simulator can mean many things. The scale of the project and all bells and whistles (features) contained therein, is largely driven by price. If you’re good hitting balls into a portable net with shots measured with reasonable accuracy, and the display being handled by an iPad or equivalent device, Optishot’s “Golf In A Box 2” will only set you back $800 or so. 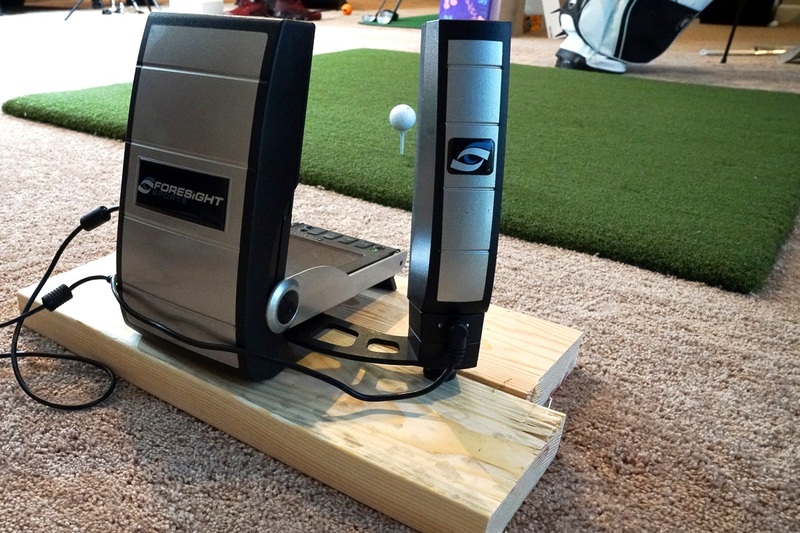 For $2000 you can step-up up a SkyTrack launch monitor. By the time you add a net, mat and annual software subscription, you’re going to be around $3000 for everything. Again, this assumes you’re good with just a net and willing to forgo having virtual driving ranges and golf courses projected to an impact screen. At the other end of the spectrum is a no holds barred, fully immersive, custom-built HD simulator room with every option. The entry level for this anything but entry level type setup can start as high as $40k and doesn’t tap out until the low six-figures. As with many things, you’ll have to pick a spot somewhere between everything you want and everything your budget allows for. If you’re going the DIY route, my assumption is you’re trying to save some cash. There are some areas where you can skimp on the design and others where it makes sense to spend a bit more. The first decision point – and arguably the most important – is what type of launch monitor is going to power your personal utopia. This decision ultimately boils down to how immersive and realistic you want your golf experience to be and whether or not you need to capture reliable data as well. If the goal is to have a little fun knocking the ball around with the guys, precision accuracy and access to robust launch data probably isn’t that important. If you plan to spend your off-season optimizing your driver, or gapping your entire bag, you’re going to want to spend a bit more on the technology. My thinking is that if you’re going to put this much effort into something you plan to enjoy long-term, spend as much as your budget allows for to get a launch monitor that does what you need it to. For as little as $299, Optishot offers a budget-friendly simulator in the form of a notebook-sized hitting pad which uses 16, 48-MHz sensors to track each shot. The system comes pre-loaded with 15 courses, though you’ll need a computer with specific system requirements to run the software. For less than $800, Optishot’s Golf in a Box is a simple solution for the consumer who isn’t picky about launch angles or spin loft but is more focused on entertainment. It has everything required to approximate the golfing experience indoors. The basic kit includes a net, required hardware/software, an infrared hitting pad, foam balls and rubber tees. The website purports a “lifelike golfing experience” and while it stops short of defining lifelike, the simple fact you’re not hitting balls means this system sits on the very fringes of realistic. That said, for less than $800, it’s significantly more enjoyable (and likely less costly!) than trying to hit flop shots off your carpet onto your couch. The premise of SkyTrack is to offer consumers a platform that doesn’t skimp on features or accuracy but skips the hefty price tag of more commercial launch monitors. It’s billed as a best of both worlds product (launch monitor and simulator) and given its stated accuracy (as compared to Trackman), it’s hard to argue with the marketing. For $3000 (launch monitor only is $1995) it’s about $22K less than the latest Trackman launch monitor, and it includes a hitting mat, Net Return Home Series net, and WGT (World Golf Tour) Play and Improve software subscription. Of all current systems, it’s arguably the best value on the market. That said, the primary drawback is hitting into a net is less immersive than an HD impact screen, which may be more attractive for those without dedicated space for a simulator or don’t see themselves using one often enough to justify a small-scale construction project. 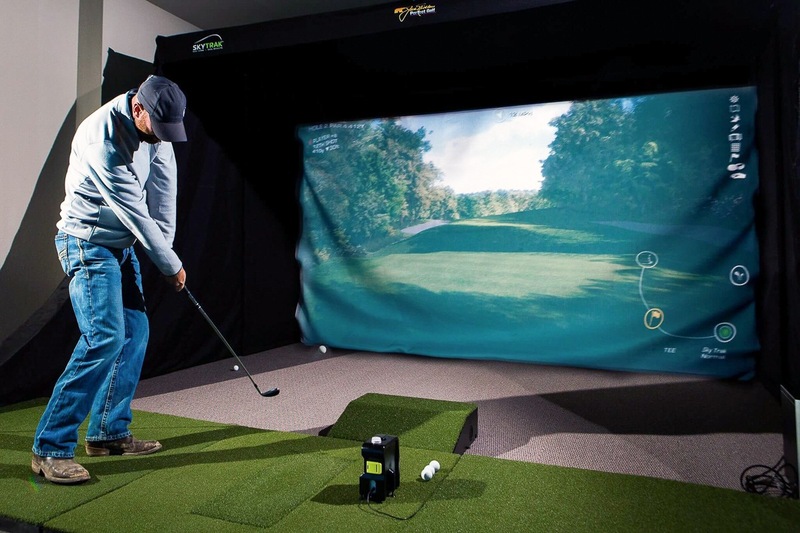 However, if you’re sold on SkyTrak’s platform and want something more permanent, for $5300-$5650 (depending on software package) the Platinum Golf Simulator Studio includes an impact screen and projector. While the gamification options aren’t as plentiful as some other platforms, the accuracy of ball data and head measurement technology are bettered only by Foresight’s newest (and pricier) GCQuad. The GC2 is a stereoscopic system which utilizes two high-resolution cameras to capture data at 10,000 frames per second, and the self-leveling accelerometer makes it simple to set up and use on the range. The GC2 was built first as a high-powered, performance measurement device. Admittedly, the visual simulation options felt more like a necessary afterthought than a primary selling point. Fortunately, with its recent software release (FSX 2018), that’s changed, and now both the optics (courses in 4K) and comprehensive ball/club data feel like a more natural pairing. Reconditioned GC2 units can be had for less than $5000 ($9000-$10000 with HMT), and while it’s not the cheapest unit on the market, it offers the best value for players wanting prodigious levels of accuracy along with portability and gaming options. For my installation, I chose the GC2. The GCQuad is Foresight’s crown jewel. It also costs roughly $18,000, but as one would expect it comes with a boatload of additional features and capabilities, most of which are on the data gathering side. Like the GC2, it runs the FSX simulation software, but unlike its elder sibling, it uses four (instead of two) cameras to measure and provide the most accurate ball/club data available on the market. Additionally, a larger viewable outdoor display, enhanced connectivity options (WiFi, Bluetooth), more spacious hitting zone (6x larger than the GC2) and manual target alignment place the GCQuad at the absolute head of the class. In case that’s not enough, it also accounts for changes in barometric pressure. An Essential Putting Analysis program ($2500 add-on) is also available which offers the same rich ball/club data for putters. This brings the total for a decked out GCQuad to $20,500 or thereabouts. At this point, some of you are wondering why I went with Foresight instead of Trackman. Fair question. Camera-based systems have every advantage when it comes to indoor environments where limited flight is an issue. Conversely, radar-based systems (Trackman) are both more expensive and space intensive. Trackman’s flagship model (Trackman 4) starts at $19,000 and if you want to use it indoors, add $6000 for simulator specific software. Because radar-based systems track ball flight, more horizontal and vertical space is required to get accurate readings. The suggested room dimensions for a Trackman unit are: Depth – 25 feet, Height 10+ feet, Ball flight distance -12-15 feet. With either Foresight unit, so long as the player has room to swing, every piece of data can be measured. Screen size, player-screen distance, projector-screen distance and overall room depth are not launch monitor dependent. One you’ve selected a launch monitor, it’s time to start laying out your space. It’s not a particularly helpful statement, but you need as much space as you need. If you plan on swinging driver, anything less than 8 ½ feet of vertical space is going to be too cramped, particularly if you’re of at least average height. If you have the luxury of starting from scratch, I’d suggest a minimum of 10-foot ceilings, 12-14 feet of width, and enough depth to reliably gather data based on the requirements of your launch monitor. Camera-based systems (Foresight) require less depth, while radar-based systems benefit from longer flight distances. Also, keep in mind that radar units also require additional space between the hitting area and the unit. The most practical location in my case is my basement. I have 9-foot ceilings (technically 8’10”), 12’4” of functional width, and plenty of depth to install a projector. If you don’t have enough height, it will limit which clubs you can comfortably use. If width is an issue, it just narrows the hitting area and the proximity to the wall might make you uncomfortable swinging away. If you have limited depth, you might need a short-throw projector which is placed in front of the golfer (and possibly offset) rather than behind. While I’m guessing most would opt for indoor space, but there’s no reason a garage, storage area, or someplace else won’t work, provided you have enough room. Again, you have some options here. A 10x10x10 pre-fabricated cage kit with corner fittings and basic netting (no screen) runs close to $300 (not including aluminum poles). For a couple of hundred bucks more, you can get a cage-style kit with an included impact screen. If a cage seems too confining, The Net Return has a package including a screen, frame and wing-shaped polyester side netting for $2500. Regardless of the direction you choose, the goal is to find a place, and a means to safely hang an impact screen while making sure you don’t get any return fire. As such, make sure the frame sits at least 12″ from any wall. It can be as temporary or permanent as you want it to be. A common method for a free-standing frame is to use 1″ electrical conduit and various fittings to create either an entire hitting cage or just a screen support. If you go this route, A1Tarps can likely supply all the required parts for around $85. That said, I opted for a more permanent installation, largely because I have a buddy who builds houses for a living and my wife was out of town for the weekend. To construct the frame, we used 1 5/8” strut channel and cut it to length using a Sawzall. Because the trusses for the main floor run the same direction as the top portion of the strut channel, I was able to use 2.5″ wood screws with 1.25″ washers to attach this section of strut channel. If the trusses ran the other direction, there would still be sufficient attachment points regardless if the trusses were 16″ or 20″ on center. The strut channel is beefy, and some recommend cutting it into two, 6-foot pieces, which can make it easier to install. Because my space allows for the channel to be affixed directly to the truss, we decided to install a single 12-foot piece. We placed the 2.5″ wood screws every 1.5′-2′ and natural disasters notwithstanding, it isn’t going anywhere. I bought two post bases to anchor the strut channel to the concrete but only used one (on the open side). I used two 5/8″ X 1″ bolts with a washer and nut to join the strut channel with the post base. On the side adjacent to the basement wall, we were able to anchor the strut channel through the baseboard and into a plate that runs below the floating floor. To secure the two vertical pieces with the horizontal one, we used two 90°, 4-bolt L- brackets. Hardware (strut channel nuts, 2.5″ wood screws, washers, bolts) $25 or so. Other considerations: You’ll need a Sawzall to cut the strut channel and a masonry drill bit for concrete. If your simulator is for personal use, there’s no reason to spend additional money for a commercial quality screen. I went with the middle of the road Preferred option from Carl’s Place. 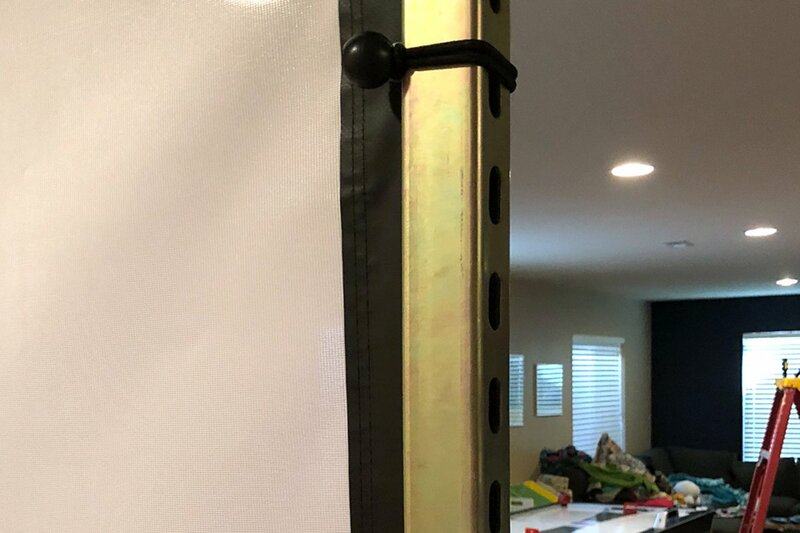 A new 9’x12′ screen with finished edges and grommets runs about $550. If you’re not on a strict timeline, Carl’s has a limited and revolving stock of “blemished” screens available at steep discounts. I got mine for $275, and after several weeks of searching, I still haven’t found the blemish. To install the screen, secure one eyehook (1.25″) into strut channel specific square nuts and secure each eyehook with a square washer to match the diameter of the strut channel. Shoot for every 12″ across the top as a starting point. The hardware cost for hooks, washers, and nuts was $27. 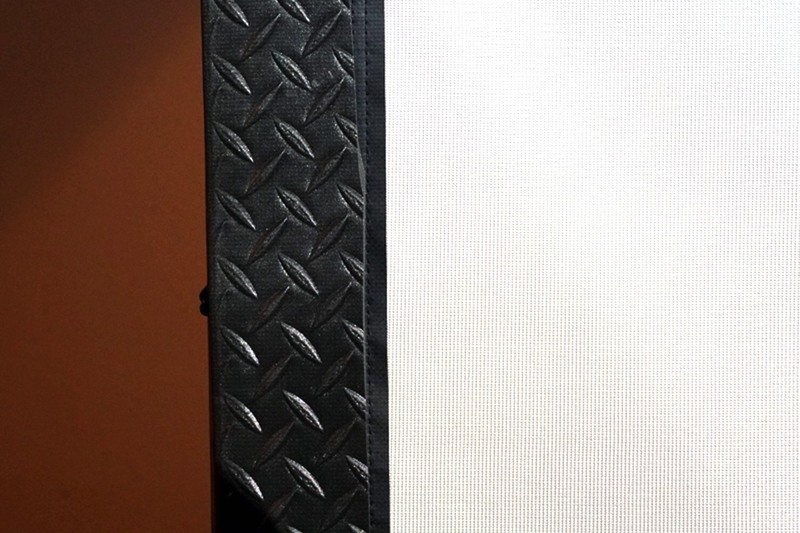 Use 6″ ball bungee cords (pack of 50 for $20 at Home Depot) to secure the screen to the frame on three sides. The bottom should have enough extra material to form a little ramp to collect balls. At this point, I’d suggest hitting balls into the net from 10-12 feet with several clubs as you’ll likely need to adjust the screen tension. The goal is to have about 12″ of give. If the screen gets too tight, it will be less like a glove and a more like a trampoline, particularly with higher speed clubs. After getting the screen situated, it was time to install the projector. As I stated before, if you have limited depth, a short-throw projector may be your best option and if you go this route, make sure you spend a couple of extra bucks to get one with excellent keystoning capabilities (adjustments which allow it to project an image which appears face on even though the projector is offset). If you go with a curved screen, an extra wide screen, or intend on using this space to stream Netflix (home theater), your only limitations are space and budget. A decent 4K, 3D ready projector such as the Epson 5040UB runs $2500, but 4K projectors in this price range likely won’t have enough native brightness (lumens) to function in a room with even minimal natural light. To get 4500-5000 lumens in a quality 4K projector, plan on dropping at least 10K – and that’s if you find last year’s model on clearance. Otherwise, plan to spend $12000-$15000. In general, I’d be wary of any projector in the $500-$700 range, particularly because most lack the lumens necessary to project a sufficiently bright image in a room with any amount of ambient light. In a typical basement, I’d advise nothing less than 3000 lumens, and if you can get in the 4000-5000 range, it’s well worth it. I ultimately decided on the Panasonic PT-VZ580, which retails for $1400, but can often be found on sale for $200 less. I opted against the more expensive 4K laser version largely due to cost $3500), though it would be nice not to worry about ongoing costs like replacement bulbs and filters. 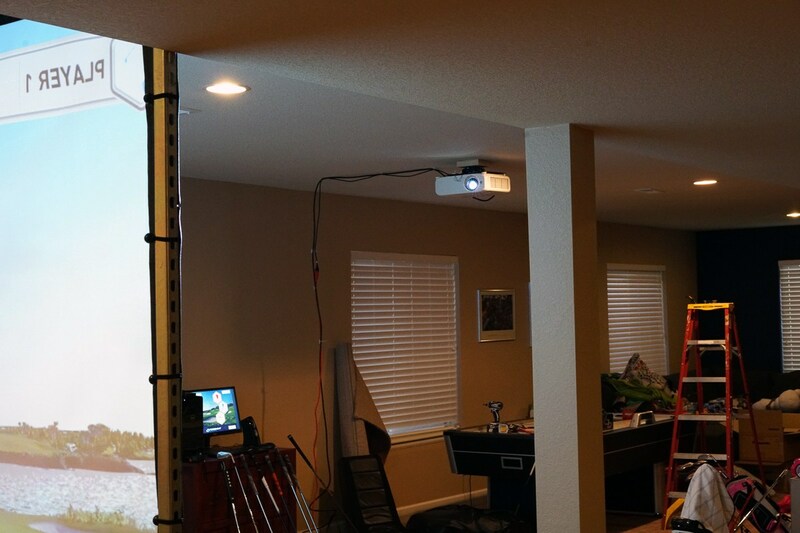 Projector installation depth depends on the size of the screen (diagonal measurement) and how far the golfer will stand from the screen at address. If vertical space is an issue, as it was for me, be sure to use a low-profile mount (I went with the Chief RSMA-345 – $170) to keep the projector as close to the ceiling as possible. Golfer height (I’m 6’1″) can also determine where to place the projector to avoid casting a shadow on the screen. 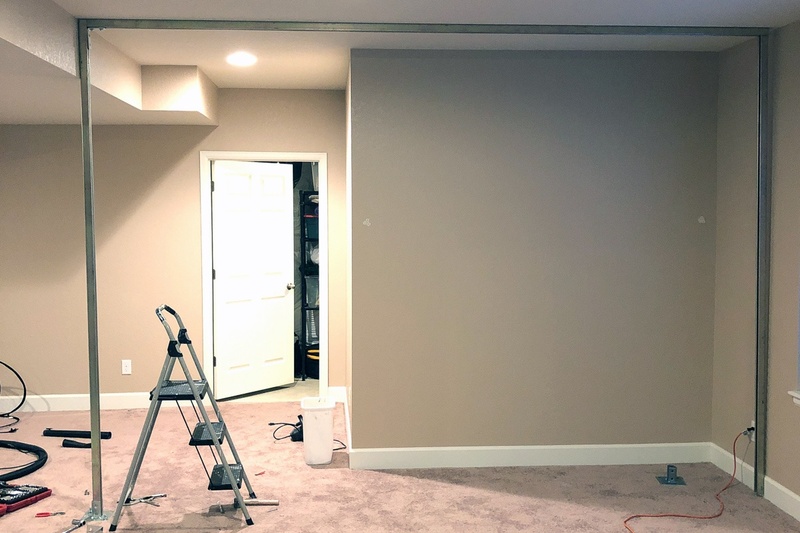 Projector manuals have a number of charts to help you figure this out, but expect a little bit of trial and error; aka make sure your drywall repair skills are up to par. 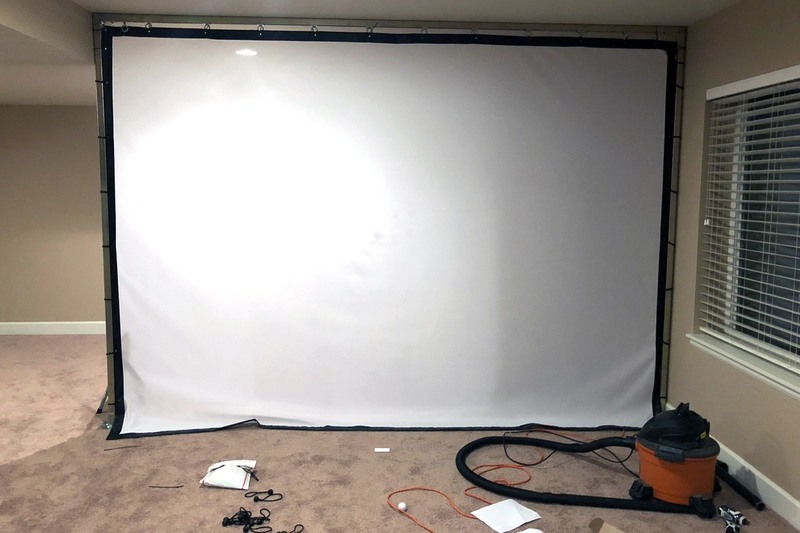 After two attempts (the provided tables suggested an installed projector range of 13′-15′) we got it in a position where I could stand 11 ft from the screen without casting a shadow and still hit a full 56° wedge without plugging holes in my ceiling. Projectors have a number of internal settings which allow you to manipulate the image to fit your screen. If you have perfectionist tendencies, this might challenge your patience. My advice – get it to a workable place and see what you do or don’t notice over the first couple weeks. Simulation software, such as Foresight’s FSX 2018, requires a computer with some decent horsepower and unless you’ve recently upgraded to a gaming specific desktop or laptop, chances are you’ll need to purchase something new. When reviewing suggested software specs, err on the side of too much RAM and the beefiest graphics card you can afford. The dedicated graphics card processes and displays images, including 3D graphics, while RAM provides access to files and short-term storage. Essentially, these two components allow for a smooth 4K simulation experience without glitchy graphics. I ended up with the NVidia GeForce 1050Ti card but will likely replace it with 1080 once bitcoin fades to the periphery of the market. RAM is easy enough to upgrade post-purchase, but unless you have a plan to do so, start with at least 16 GB. For a mat, I chose the Country Club Elite (5X5) by Real Feel Golf Mats. It’s a bit pricey ($449 at Costco), but this was again one place where I was comfortable spending a little bit more. Also, I was able to remove a section of carpet, so the mat sat directly on concrete to prevent any sliding or slippage. If that’s not an option, it may be necessary to frame in the hitting mat on some surfaces. That said, quality artificial turf, regardless of the brand, is like modern patio furniture – it’s uncomfortably expensive. I wanted realistic turf interaction, and if anything, this mat is overly penal on fat shots. It’s not quite Velcro, but there’s zero sensation of the club skipping or sliding into impact to give a false sensation of clean contact. Additionally, a square (4×4 or 5×5) mat can be rotated often to help maximize longevity. Creating some type of border to trim out the strut channel frame not only makes the finished product look cleaner, but it’s also an imperative safety feature. I purchased three rubber garage mats from Home Depot ($11 each) and cut them into 4″ strips. From there I applied two beads of Liquid Nails uber-strong adhesive, and I’m certain it’s only a matter of time until I see how well this material absorbs errant shots. Because I didn’t have additional vertical space, I used 12″x12″ acoustic foam pads (36 qty for $49 from Wal-Mart) and 3M double sided sticky tape to form a 3’x12′ buffer for any skied shots or flop shops with a little too much flop. The last step was to hang blackout curtains and rods ($150 from Bed, Bath and Beyond) on either side of the screen to both finish the aesthetic and catch errant shots, though there are heavier fabrics which can do this more effectively. Because I’m right-handed, should the dreaded S&a#k make an appearance, I added some extra padding (thin memory foam) behind the curtain on the right. But first, let’s recap. While the entire project took just under a month to complete, I essentially turned a 16-20 hour project into a several week exercise in reminding myself why my wife is reticent to turn me loose on any home renovation project without additional adult supervision. Once you get started, there’s an insatiable desire to get to the point where you can hit a real golf ball and see its flight on the screen. To that end, should I attempt something similar again, I would have everything needed to install (at least) the frame/impact screen and projector at the same time. I’d absolutely suggest bribing a co-worker, neighbor or golfing buddy with sundry food and beverages to assist with this and so long as you avoid major mistakes, it can be done reasonably in 4-6 hours. Also, never underestimate the ability of mediocre golfers to hit incredibly poor shots. Case in point – prior to installing the ceiling protection my 71-year old father, whose swing is steeper than the north face of Half Dome, skied a tee shot leaving a perfectly round hole just inches from the horizontal section of strut channel. As with any project, measure twice and cut once. In particular, take time to calculate an appropriate projector depth and don’t be afraid to remount it if necessary. Most projectors will have charts to give you a basic ballpark measurement, but Foresight had several installation experts who walked me through projector features and recommendations and double-checked all of my math. Fortunately, no derivatives were required. 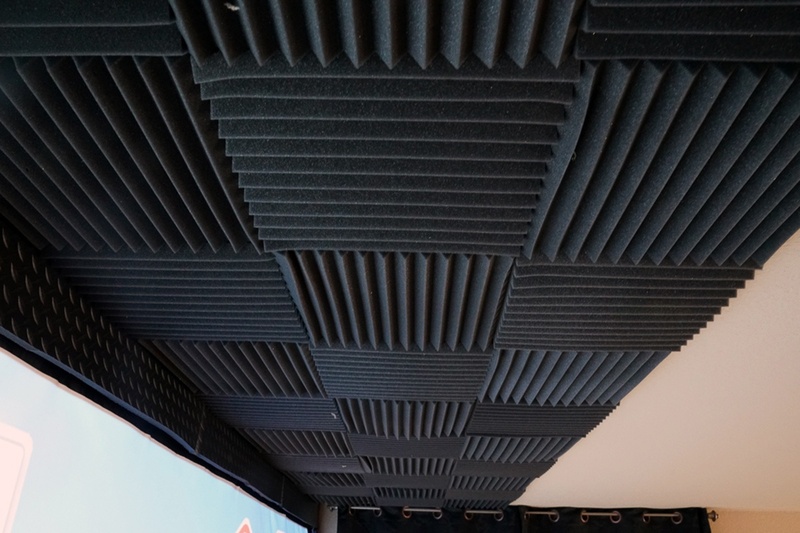 Also, if you are going to frame in the hitting mat or remove carpet, wait a couple of weeks before doing so as it’s a lot easier to shift the mat 6″ than it is any of the other components of the system. Bear in mind, nearly 80% of that figure went towards a premium commercial launch monitor, and I also had to purchase a new computer to run the needed software. 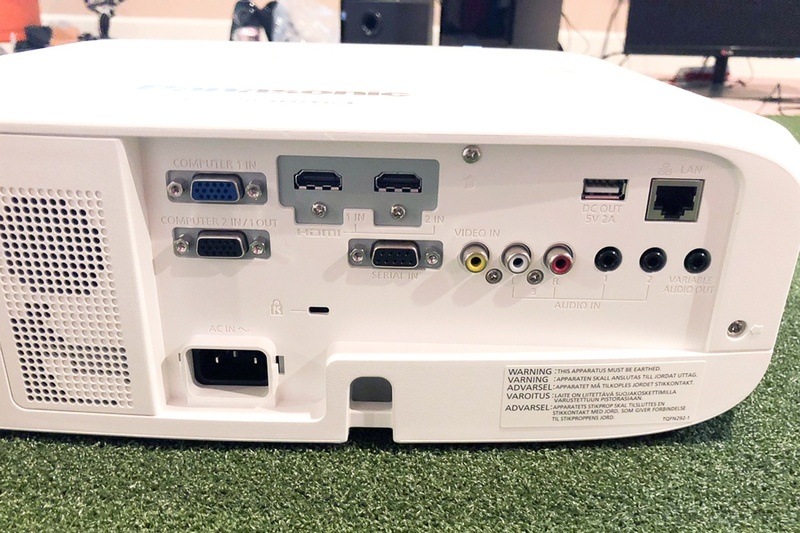 Prices on refurbished GC2 units are unlikely to drop substantially in the near future, but so long as consumers continue the recent trend toward golf gamification, expect the market to create more options in the $2000-$5000 range similar to SkyTrak. 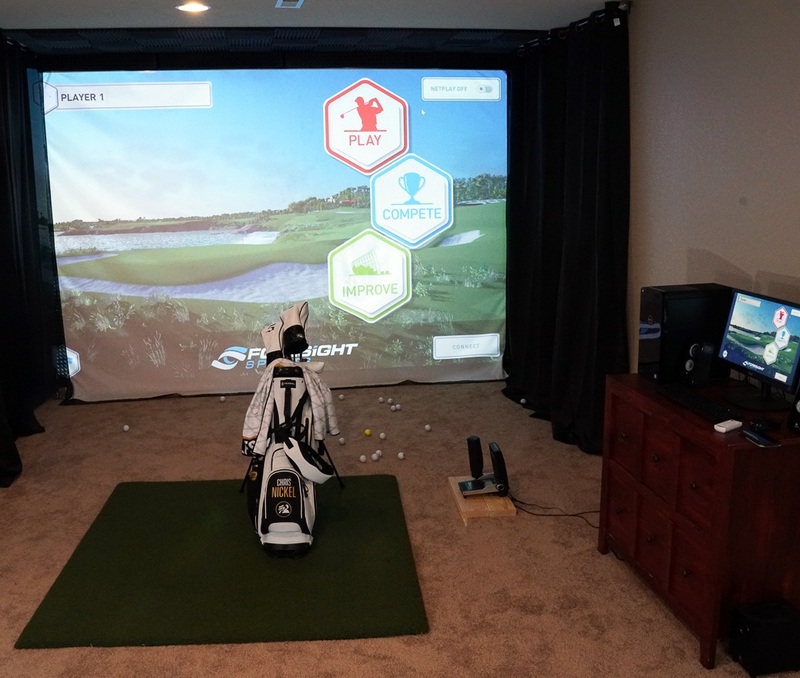 A hyper-realistic in-home golf simulator is no doubt a luxury item, but it’s not necessarily the financial reach it once was. This article was awesome. I’m not that handy so when I bought my golf simulator I went with a package deal that I came across at shopindoorgolf. I wish I’d come across this post before I bought, I definitely would have gone this route. I went with a GC2 for myself because I wanted a launch monitor that I could use indoors and take with me to the range. I really feel like I’m getting the most out of my practice sessions now. I followed that up with some golf lessons from the local PGA pro and that coupled with the GC2 has been awesome! Overall I’ve been happy with my setup, but I think a DIY golf simulator is a great idea! I am building one in a new house, so hard to decide which one works the best? Golfzon has a tilting platform and different rough and bunker surfaces. It is also very expensive, +$75,000. It also needs alot of room, @24′ in length. The courses are free though. The Quad, requires less space, a little cheaper, but you must purchase extra courses. The are other companies outside the USA, which makes it very difficult to see, test, etc.. Luckily I will not be installing for a couple of years, and hopefully, new and better products will be developed? Hope this blog subject stays current with the latest sims.. One that does it all, consistently, acurrately, at a resonable cost, in a resonable space? If I had ceiling height, I’d be comparing pictures with you, but with 8′ ceilings in the basement, and no crane to lift house, (while I pour taller concrete walls), the dream of me having an indoor simulator – is just that … a dream. Maybe I should budget for building a backyard shed that measures 15 x 15 with 12′ ceilings ?!? If the house can’t go up, make the floor go down. I just cut my basement floor and dug it two feet deeper and re poured the floor. Do a Google search, several of us have done this now. Great article – thanks a lot! Great article. I’ve been waiting for this. Good to know you can get a decent practice sim set up without breaking the bank. Great article. I don’t have quite your budget, so I went with a still great option at a much lower price. I built my home simulator late last summer. I went with the SkyTrak w/Game Improvement Pkg for $1750 on sale, Rukket Haack Golf Net for $129, a used commercial grade 5×5 hitting mat (Grade A) for $200 off eBay. I used my old laptop and used it for displaying the shot data. I set mine up in my garage. I leave the net up full-time and move the mat in/out of position, if needed. This is a very workable and relatively affordable solution for $2079 in total. The SkyTrak is exceptional, giving you very realistic distances, spin, carry, roll, smash factor, launch angle, ball speed, clubhead speed and more! My friend’s were skeptical, so we set-up 150 and 190 yard Par-3 contests. They all chose their ‘on-course’ clubs for the simulator and were spot on! I use my mostly for realistic practice and to work out flaws in my swing. Really, really happy with the accuracy. **I got my SkyTrak on sale during a Fathers Day special and used a new customer discount from RockBottomGolf.com, to get my price to $1750, it’s currently $2250 (with no sales, or 10% off with new customer coupon @ $2025). Should have super ultra premium category and talk about Full Swing simultors. We have 7 at my shop, we have added the Ion camera which does a good job with showing accurate curve of the golf ball. Putting is nice as we have about 8 feet as the ball crosses the two laser grids. Lots of fun. But spin is not a true measure so if you hit it high, it ads a lot of spin, if you hit it low it shows very little spin. Not the most accurate but far more fun than the GCQuad for actually playing a golf course. We also have the GC2 with HMT for Driver fittings and the playing software is not quite up to snuff in my opinion. Ours our quite old, back when they only made one model, it would be like the pro series today. We have updated software and hardware multiple times. Putting is always tough but once you get the hang of it these are far more fun than gc2/quad/trackman simulators to play golf on. If I didn’t live in SoCal, where we can play all year, I would build one of these. I even still want one! Chris, very good info. Creative and resourceful. Will this always be posted? Or can I get “reprints.” We work with Golfzon for the high end simulators. For people on a tighter budget, you’re solution is helpful. Connect with me if you’re ever in Chicago. My local heated driving range charge $ 400 for unlimited access and balls for all winter season. It means 10 seasons is $ 4000. In regards to that, no indoor simulation is worth it budget wise. The great thing about choice is that people get to choose. If all someone wants is to bang balls into a net, there are a ton of low cost options – of which a membership to some sort of indoor facility is likely one. I actually have a friend who hits balls into an old mattress in his garage. That said, unless your indoor range has access to high quality commercial launch monitors, you won’t have the benefit of that data. So again, it comes down to what features an individual wants. Whether something is “worth” it is a circular discussion which always ends up in the same place. Not getting in the car and driving somewhere every day in the dead of winter. Not hauling clubs around. Having your own food and beverages at your fingertips. Not dealing with other possible idiots beside you. Should I go on? It could very well be worth it. 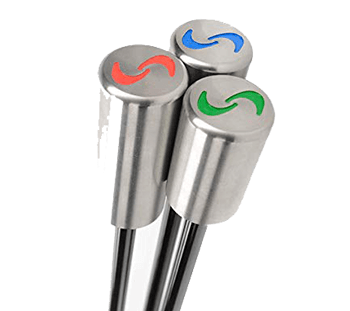 Any high tech recommendations for the much overlooked putting game? Interesting is the rather inexpensive PuttMetrix (www.puttmetrix.com). There may be others. Can’t do much better than a gc2. To really finish off the sim experience you really need to play live golf with others. The best software currently for that is perfect golf and the gc2. Foresight doesn’t officially support using 3rd party software but it works really well. You can get into a game nightly pretty much regardless of time zone. They use a discord server to setup games and play. It’s a ton of fun to play 2 vs 2 skins scrambles. The online tour events are fun too with stats like proximity, strokes gained, etc. The Golf Club has a tour that works with the GC2 also but at this point the stats seem better on PG to me and the courses play more accurate since most are built using actual course slopes and contours from Lidar data. Enjoy your new setup! Almost Golf balls $20, small mat $25, netting $30…and the rest use your imagination PRICELESS! I mean that’s great and very suitable, if you don’t want to know if your game is improving or not. Improving!? Youre joking right? Golfers scrores have not improved in the last 50 years inspite of all the technology, agronomy and biomechanical research….good luck with the simulators. I went with the Sky Trak route. Spent around $5000 for everything. It’s not the most beautiful sim set up but it works for me and I can play anytime, practice anytime. What stood the most of my game this season after practicing all winter long was my short game. It sharpened my 100 yards and below shot. I am seeing a more closer to the pin on the first putt from shots from 100 and below. Thanks fir this info. I’ve been thinking about a set up similar to yours but I was concerned if what I did in the sim would translate to the course. Good article. Can I ask what you plan for putting/chipping if you intend to play indoor courses. I love simulators in the winter for drives and approaches but the putting never seems to work well. totally disagree. putting is one of the funnest aspects of the simulators. i rarely 3 putt. 1 putts are tough on gc2 but still fun to try. our indoor leagues make it mandadatory to putt. skytrak and gc2 are pretty good for putting. 6ft or 10 ft gimmies of course. i refuse to play indoor golf without putting. ill practice but not play. Great question. While I will use the courses for some play, it’s not my primary purpose, so I’ve invested less time/money into that part. With that, I have noticed the chipping/pitching is quite accurate based on just hitting shots off of the standard mat. I don’t have a great solution for putting at this point. I think you meant to say that the mat you picked is overly PENAL. You may want to make a change. Great article! FWIW, I have the Optishot, and if you think of it as a video game that gets you swinging your clubs when you otherwise wouldn’t, it’s fine. Nothing like your rig. Great article. I have used Skytrak and am moving up to GC2 this week. I use Jack Nicklaus Perfect Golf simulation software as seen in the Skytrak pictures above. 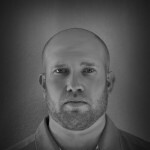 I play online tournaments each week with players from across the globe. We play live rounds nightly as well. The Online Golf tour is a great place to hone your skills while playing competitive golf. The software is affordable and the courses are very realistic. After completing the hardware setups like you have , you always want to play golf. It is best to do so in a social environment. Chris, I realize you are right-handed and the setups shown are for you. My question is how practical is it to switch from right-handed to left-handed, or should I find only left-hand friends? Right/left is definitely an issue in simulator setup. After all is said and done, the best solution currently is still the GC2 or Skytrak, placed on a turntable. I think the GC2 is quite practice for both LH/RH play. That said, I don’t have much to compare it too, but as long as the cords are long enough (or you use some type of turn table set up) it is sufficiently simple. I will add that one to my list.